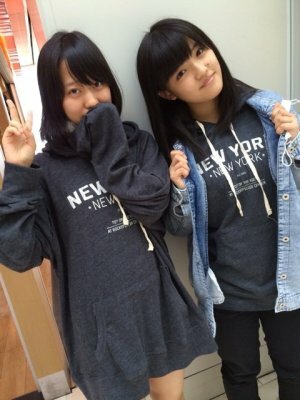 Recently, Kanon has been experiencing kindness from various people. To start, her father normally takes her to the radio show every week. This time Kanon received the script for the show the day before the recording. Her manager explained that she had to use certain type of software to open the script. Kanon ended up having a lot of problems with the software and got angry and yelled “This is annoying! I’m done!”. Apparently she would try again and again to get the software to work, get angry with it, leave, then come back. She did this about 8 times. At this point, it had gotten late and her father had already gone to bed. Kanon planned on giving up and going to sleep too, but her dad ended up getting up and helped her locate the Kanon! Smile’s script, print the document, and stapled it together easily. Kanon thought it was crazy that her dad figured it out so easily because she couldn’t seem to figure it out for the life of her. Looking back on it, she is grateful her father sat down with her and figured it out so nicely and it gave warm memories. Her second instance occurred when Kanon still had the flu, so she had to miss out on a Hello! Concert and dance rehearsals. Overall she felt very bothersome for the other members and apologized a lot, however Sakura told her “Its totally fine, just get better,”. Kanon got really lonely while she was sick, but the kind words Sakura told her made her feel a little better. Kanon really appreciated that Sakura seemed genuinely concerned with her health by sending her kind emails telling her to come back soon. These two instances made Kanon very happy and grateful for others kindness. Watashi, Suzuki Kanon no Honto no Kimochi ga OPEN ni Nacchau Meseeji Corner! Message 1: Zukki-chan, Konbanwa! On a previous recording of the show you did an impression of Kanazawa Tomoko, but it didn’t seem like you covered it very well. (Kanon: thats a lie!). As a challenge, you should do it again. If you don’t do it well, you must give your best “yurushite nyan”. I guess its more of Erina’s intonation when saying “Thank you,”. She has a way of saying things a certain way thats not bad, just very cutesy. In general thats just how her intonation is when she talks to people, even during her self-introductions. At this point, for Erina to speak in this manner is just normal. Kanon had to give a “Yurushite Nyan” if she made the impression weird, but she doesn’t think she did, so she won’t have to give a Momoko impression. Message 2: Kanon actually received three messages that were all along these lines: It was fun to hear you sing acapella and it would be nice if you would do it again. It would be great if it were even a corner! Kanon reflects on the previous time she sang acapella and thinks that if she had a bit more time to prepare she wouldn’t have been quite as nervous. She likes singing and is surprised people liked it so much the first time, but is grateful anyhow. 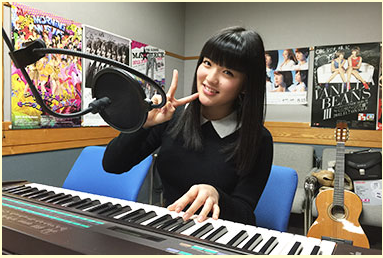 She recommends listeners send in recommendations on what she should sing acapella and the staff mentions that maybe she will even do it on a live radio show someday. Message 3: Konbanwa! When you’re on the bus or bullet train, what do you do? Generally, she will listen to music. In particular, she will listen to Morning Musume Instrumental versions. However, if they are going somewhere close by they will take a bus. When thats the case she often finds herself sitting next to her fellow 9th Generation mates and they talk lively with each other. Although, Riho will normally listen to music. But, the other three will talk about the current going-on’s in Morning Musume and the like. Message 4: I heard that you liked Ojamajo DoReMi. What character do you like lately? Kanon doesn’t think she’s actually talked about it before and is happy she has this opportunity to as she loves DoReMi. Her favorite character is Onpu Segawa because she is an idol. Before Kanon became an idol herself, she admired Onpu in about 3rd or 4th grade and wanted to become an idol because of her. So when Kanon actually became an idol it was like she had achieved a dream that wouldn’t have existed without DoReMi. 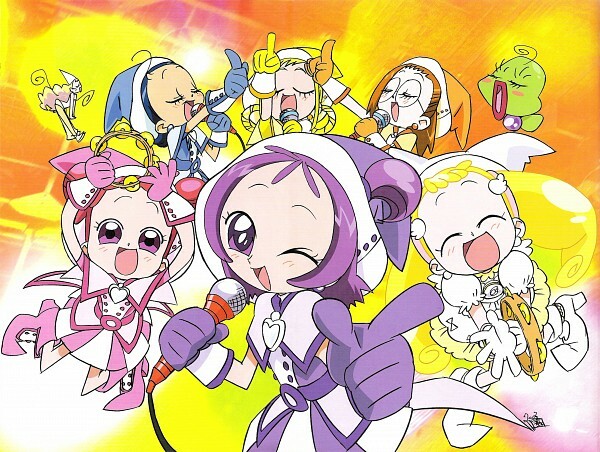 She goes on and lists off all four seasons of Ojamajo DoReMi and claims her favorite is Ojamajo DoReMi # (sharp). She thinks the show is wonderful as it has good stories about family and friends and recommends it to everyone. Song: Berryz Koubou – Heroine ni Narou ka! Without Onpu there many have been no Kanon! After playing she makes a small “eeee” noise, she asks how she did. It turns out she passed! Kanon is extremely relieved that she was able to play Pachelbel’s Canon in D successfully. Because she can’t dance right now she has actually been practicing really hard for this segment. Kanon is incredibly relieved that all her hard work paid off. For passing, she gets a pretty good reward next week: Kanon gets to try some special yakitori hearts! She’s happy for the reward, but more so the fact that she was able to play the song properly on the first try. But, Kanon thinks that this segment was really hard so she doesn’t want there to be a second time! Instead, she will move on to an acapella segment. Did you like Kanon’s piano skills?